As highly advanced weapon systems, made in the USA, are sighted on various battlegrounds in Third World countries, the US government decides to send in an ISA agent, Cpt. Myra Lee, to find out how political enemies are acquiring arms that are under strict embargo. 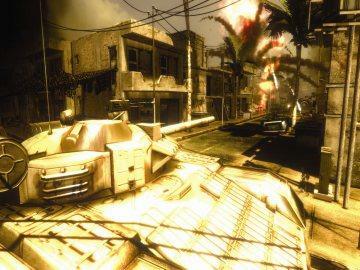 Myra is sent to Mogadishu, where American made weapons have allegedly been employed in combat by Somali military forces against rebel units. In Somalia, Myra meets Cpt. Aron Alvarez, a hard-boiled close combat specialist of US Army's 1st SFOD-Delta, whose squadron is assigned to assassinate Somalias dictator. Myra and Aron begin working together only to discover that that the seriousness of the whole affair reaches much deeper than just the illegal trade of US weapon systems. 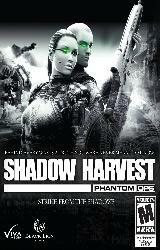 A special unit under the codename SHADOW HARVEST is formed within the ISA to reveal the truth. Cpt. Myra Lee and Cpt. Aron Alvarez are made partners in the operational core of this special unit and their investigations lead them to various places all over the world.